Mara Rosenbloom is a pianist, composer, and bandleader. Originally from Madison, Wisconsin, she now makes her home in Brooklyn. Drawn to New York’s diversity, intensity, and constant buzz of sound, Mara moved to New York City to study in 2004. By 2009, she emerged onto the scene as a strong leader, presenting “sparkling compositions, both lyrically contemplative and rhythmically pulsating," with her own Quartet hailed as a group that “renders believable a future for jazz" (All About Jazz, NYC). Through monthly performances with The Mara Rosenbloom Quartet, over a stretch of years, Rosenbloom has established herself as an undeniable & respected part of the New York jazz scene. Working with a strong core of improvisers of like vision – a commitment to honesty & heart – Rosenbloom’s music has gained recognition from press, listeners, and academics alike. The Baltimore City Paper has noted Rosenbloom’s music for it’s “sinuous melodies, rhythmic poise, and exquisitely harmonized everything," while Time Out New York has simply stated “soulful, songful, striking." 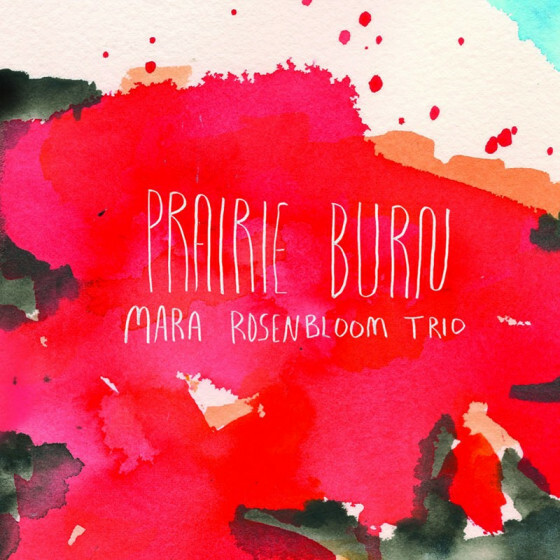 Other publications that have recognized Mara Rosenbloom’s music include JazzWise Magazine, The Jazz Journal, The Pennsylvania Tribune, Chattanooga Pulse, The New York City Jazz Record, RVAJazz Blog, Lucid Culture, and The Rhythm of Study (see ‘press’). In 2013, Rosenbloom signed on with Fresh Sound New Talent to release her second quartet album, Songs from the Ground, with her long time band members Darius Jones (alto saxophone), Sean Conly (bass), and Nick Anderson (drums). Brian Morton, Co-Author of the Penguin Guide to Jazz & reviewer for the UK’s Jazz Journal praised the album as “tough, almost abrasive modern jazz, whose moments of lyricism or raw feeling are all the more powerful for taking no prisoners along the way," saying “there's an earthy, outdoors quality to her music that is delightfully unsettling and wholly unlike the air-conditioned, temperature-regulated sound that often passes for quartet jazz these days." 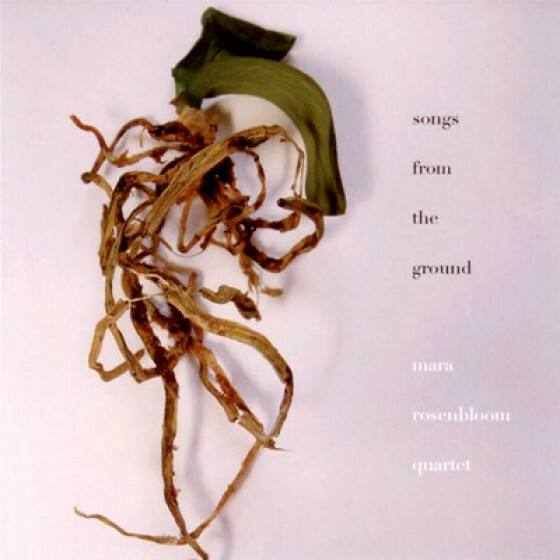 PhD ethnomusicologist & writer Mark Lomanno noted, "Pianist Mara Rosenbloom suffuses artistic vision into each musical gesture—each corner and crevice—of her recent release, Songs from the Ground...an accumulated sum of highly musical moments that suggests the absolute clarity of an artistic aesthetic—the focus and direction of her musical voice are undeniable." The album has been featured in the “new & noteworthy" jazz section on itunes and one track, “small finds," was chosen to be featured on the New Music Box Mix: Jazz Edition, alongside music from Craig Taborn Trio, Wadada Leo Smith, Darcy James Argue, and Kris Davis. In addition to her work with mainstay Quartet members Darius, Sean, and Nick, Mara has performed her music & other new musical works in a variety of musical settings, performing with Chad Taylor, Jeff Davis, Mark Ferber, Tomas Fujiwara, Adam Lane, Linda Oh, Maeve Royce, Jeremy Udden, Brittany Anjou, Matt Simon, Valerie Kuehne, and Lisle Ellis. Mara’s works for large ensemble have been premiered at the Blue Note Jazz Club NY, as well as showcased and conducted by internationally acclaimed composer and arranger Jim McNeely. Mara will also forever share a love of Afro-Peruvian music with the Gabriel Alegria Afro-Peruvian Sextet, who introduced her to the music of Chabuca Granda, Susana Baca, Kiri Escobar, and ultimately, welcomed her into the group to perform Afro-Peruvian arrangements of her own music. Through this partnership, Mara ultimately had the opportunity to create jazz arrangements of Peruvian “standards" for Peruvian International superstar Eva Ayllon. After presenting the arrangements to Eva in rehearsal, Mara was personally invited to perform them with her at Festival Jazz Peru 2008, Eva Ayllon’s first foray into jazz. Mara began playing piano at age 5, where she had the opportunity to study with a woman she only remembers as “Jackie," who taught her how beautiful music can be when it comes from the heart. Since her arrival in New York, she has studied arranging and composition with Grammy award winning arrangers Gil Goldstein & Jim McNeely, and found strong mentors at the piano in Kenny Werner, Angelica Sanchez, Cooper-Moore, and her current teacher Connie Crothers. 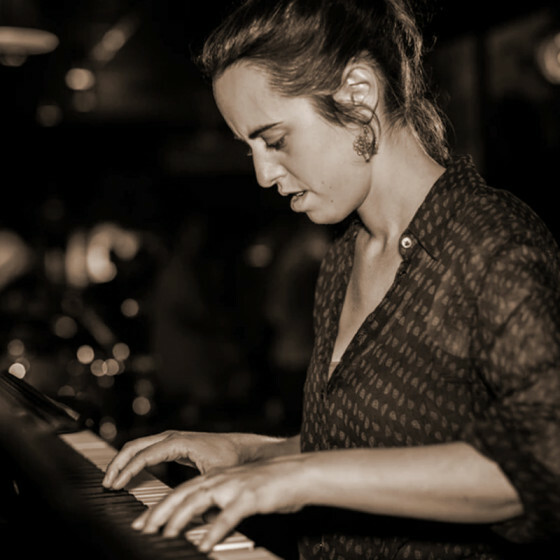 Mara holds a Bachelors of Music in Jazz Composition from New York University, and is also a committed educator. Mara teaches composition and piano privately out of her home in Brooklyn.